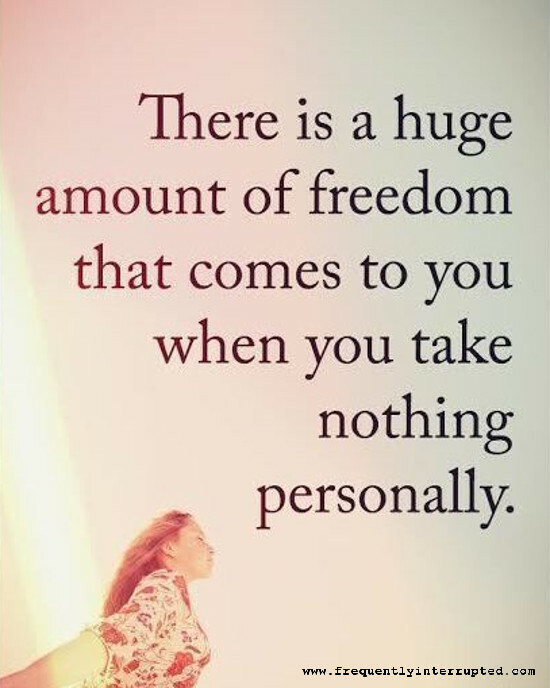 Much of the anger and frustration in the world today comes from taking things personally when they are not. We see a movie we dislike and we get angry because we feel snubbed. We hear a song we dislike and we are angry because our desires were not met. The truth of the matter is, there are nearly eight billion people on this planet, and the most outgoing person on the planet can't possibly know more than a fraction of a fraction of a percentage of those people. Most of the activity in the world has nothing to do with you, personally, so don't take on the burden of believing that it does. Even when things truly do go wrong or need to be fixed, you'll find it a far more easy and possibly even enjoyable task if you do not take it personally.